This recipe was probably the biggest surprise of the series. It’s straight off the back of a Caramel Bits package, only they call it Chewy Caramel Bars. We made them out of boredom one snowy Saturday because we had all sorts of odds and ends left from baking in our pantry. We loved the final product but didn’t really think they qualified as “bars” per se, they are much thinner. 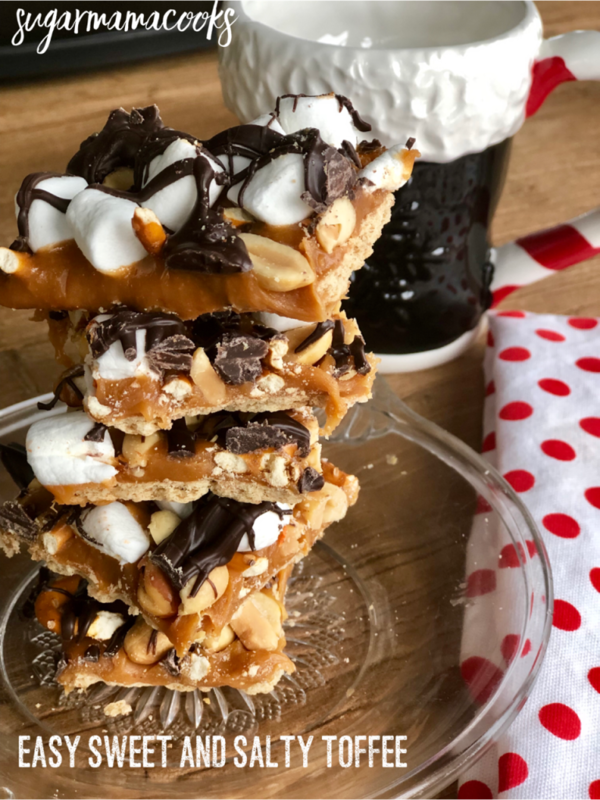 Really like a piece of toffee layered with all sorts of extras from your pantry. 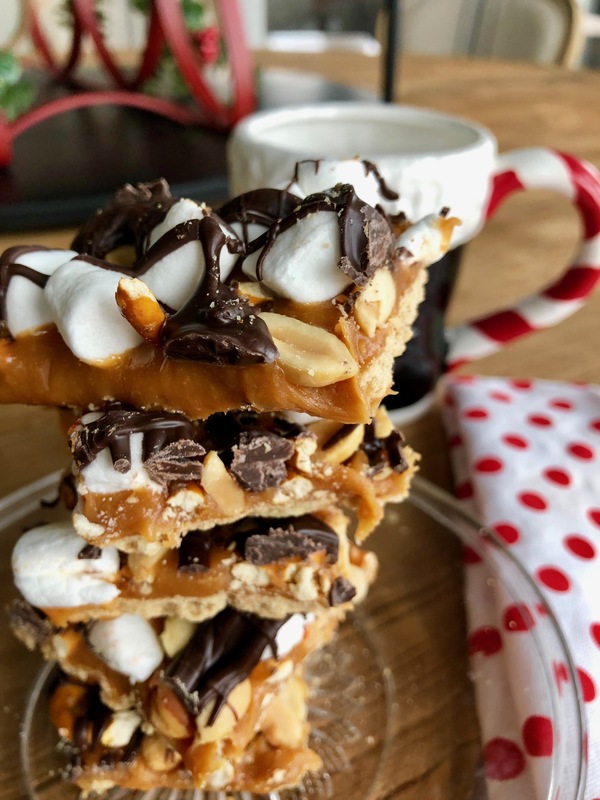 The graham cracker serves as the sturdy base, so you don’t have to go through the trouble of cooking the caramel over the stove until the hard crack stage. This faux toffee is unexpectedly pretty too — the contrast of all the textures and colors is lovely. I could see these packaged up in a box and delivered to friends/neighbors/co-workers. But the best part is how ridiculously easy and fast these are. There is no baking so it comes together in minutes. It does need to chill for at least an hour before you cut them. And the cutting should only be done after the bars are chilled. That caramel is sticky and will seep through any cracks in the graham crackers (hence the reason you greased the heck out of that foil). It needs to be cut while chilled or it’s a hot mess. Once cut, store these in layers with parchment paper in between. It will keep them from sticking together. Line 8-inch square pan with foil, leaving a 2″ overhang on each side. Spray very generously with cooking spray or grease the heck out of it with butter. (You’ll thank me later.) Place grahams on bottom of pan, cutting to fit if necessary. Refrigerate at least 1 hour. Use foil handles to remove dessert from pan before cutting into bars to serve. Makes 12 pieces of toffee. A 4th of July ‘mocktail’ for the kiddos!